The January Debatable proved a lively round of arguing. Mike Allegra appointed Jilanne Hoffmann as his proxy while he trotted off to a fellowship for work on his newest creative endeavor. Niggling wonderment if the fellowship is just a guise not to lose another round of Debatables traisped across my pathway of reason for not participating. I mean, I teach, grade essays, and contribute to my blog on a weekly basis… Y’know–just wondering. 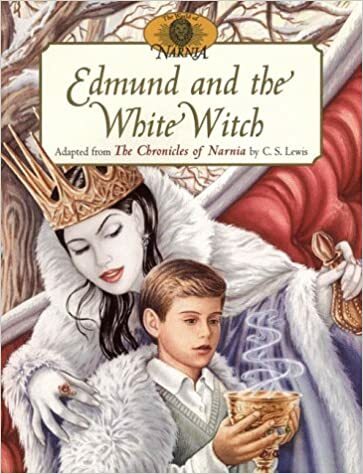 This month’s topic of contention for readers to decide: Which scene is more ominous–Edward from The Lion, the Witch, and the Wardrobe meeting the White Witch in the winter woods of Narnia or Scrooge meeting up with the ghost of Marley one dark night in A Christmas Carol? How could anyone not see the ominous aspect of this scene? That is one creepy lady. Beware, Edmund! Beware! Jilanne wins the January round, and she added her own style of quippery to the verbal sparring. I know–doesn’t impress me as ominous, either. If you missed out, you can backtrack and read our exchange here. You can even still vote–as long as it’s for Edmund, and as long as you know it’s only to make me feel better. See you next month for a new round of Debatables.